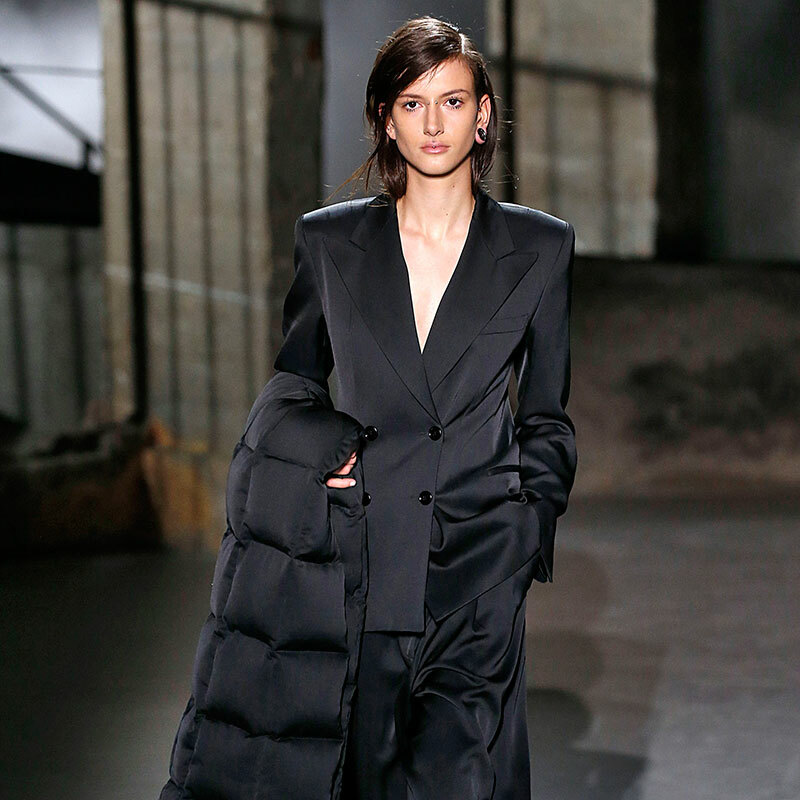 Another fashion season bites the dust, and oh was it a noteworthy one. 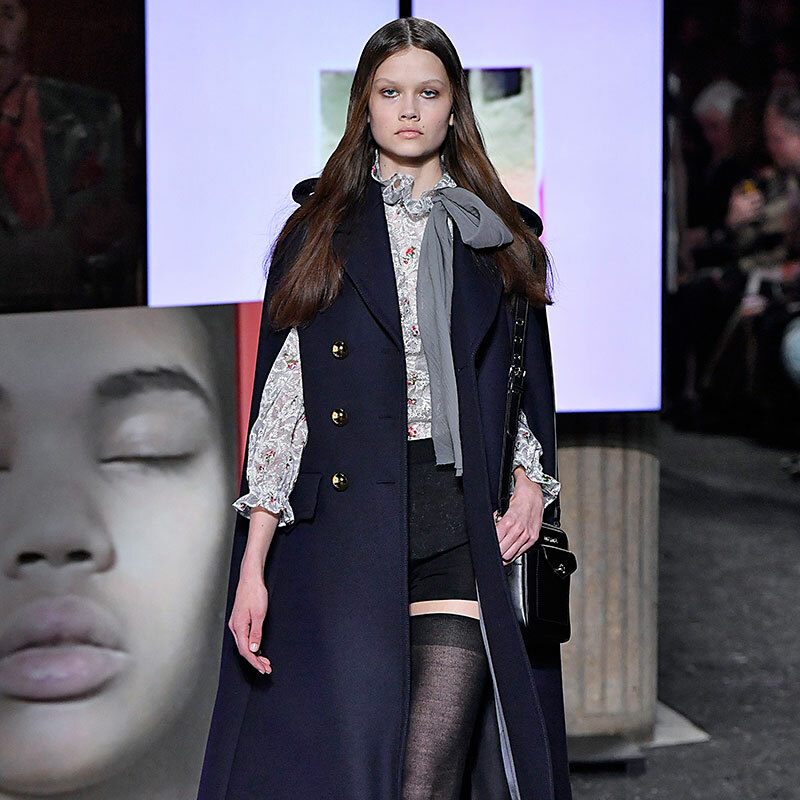 Now to round up Fall/Winter 19’s most memorable faces from New York to Paris. 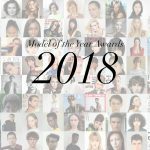 Models.com continues its tally of the leading debuts and breakout achievements, publishing them biannually for our Top Newcomers list. These models walked for the top tier of luxury clients in multiples, landed coveted exclusives with opening and closing slots along the way – a key advantage that helps tremendously once the editorial and advertising season gets started. This season we invited the top creatives in the business for their expert opinion on the blossoming muses of the season. See who they believe have that coveted it-factor followed by our list of top performing rookies. I know I chose her seasons ago but this is her time. We need a career building and survival category. She is not the only one. There are others that are standing the test of time. That was never possible for a black girl before, after 2-3 seasons they were done, tossed aside. Finally they are having a career with a bit of longevity. There are easily more than 15 for sure. That is saying something. Click on a thumbnail to learn more about each model’s incredible season. Trust and believe. 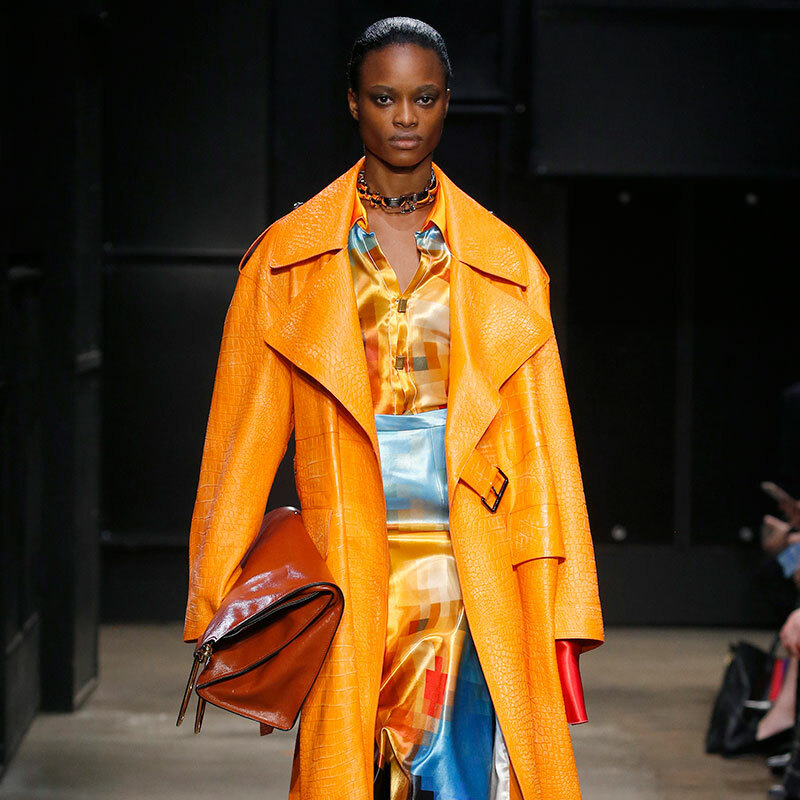 In her debut season, Argentinian teenager Agostina put her faith in the Prada team and received a bob and bleached eyebrows as a part of the two-for-one deal served up alongside a runway exclusive. And the makeover served her well; in Paris, she (and her eyebrows) appeared at Chloé, Vuitton, and Dior, amongst others. Aliet didn’t just walk her first season, she practically took flight. This striking South Sudanese fresh face is now soaring towards her fashion future with lift provided by top shows like J.W. Anderson (semi-exclusive), Bottega Veneta, Versace, Valentino, Givenchy, and Miu Miu. Like a phoenix, Brazilian newcomer Ana Barbosa was on fire this season. The edgy, long-gamed rookie landed a closing spot at J.W. 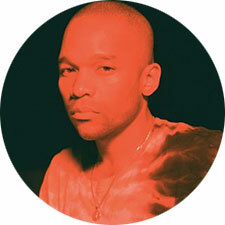 Anderson, no easy feat, before impressing further with an exclusive spot in Milan at Prada, then Dior, Loewe, Elie Saab and Givenchy. 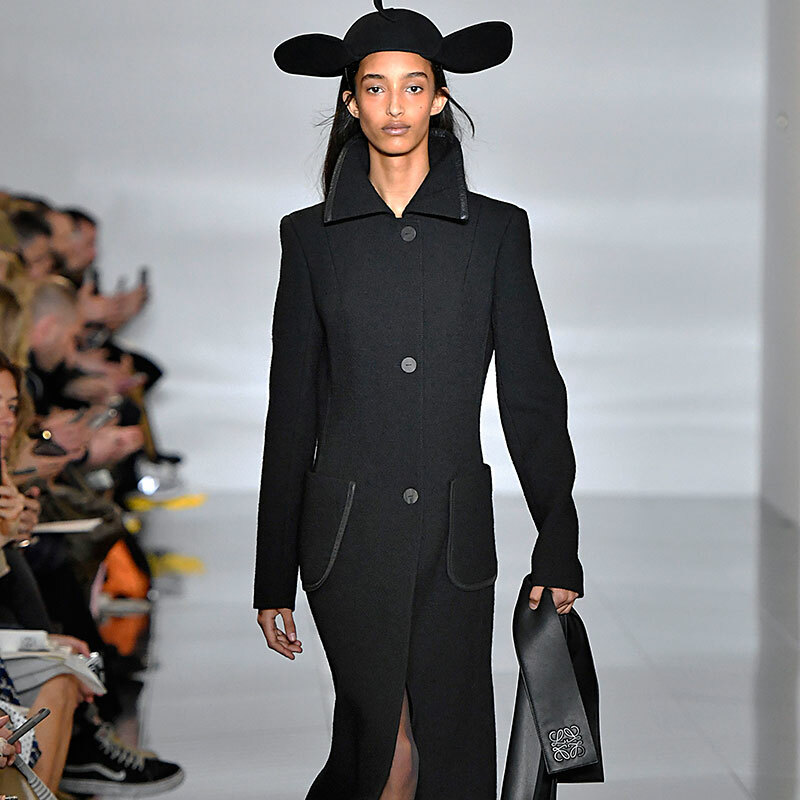 Chun Jin first stood out in London with her international debut at J.W. 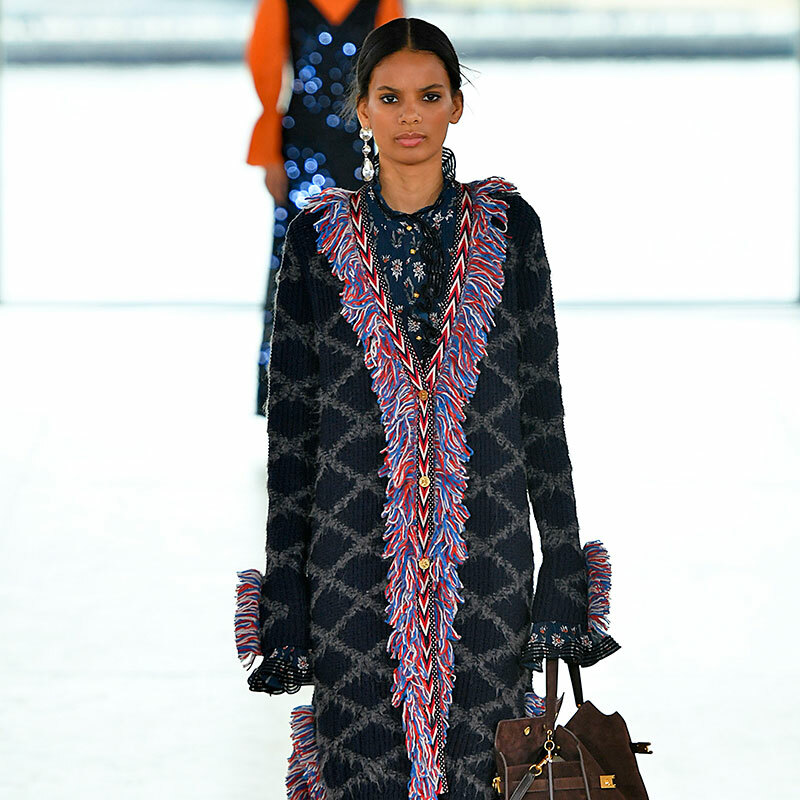 Anderson and a closing spot at Christopher Kane. Shortly after it was on to Milan for the babydoll Shanghai sensation with a pair of power bookings at Fendi and Prada before revealing herself in Paris at Saint Laurent, Chloe, and Altuzarra. 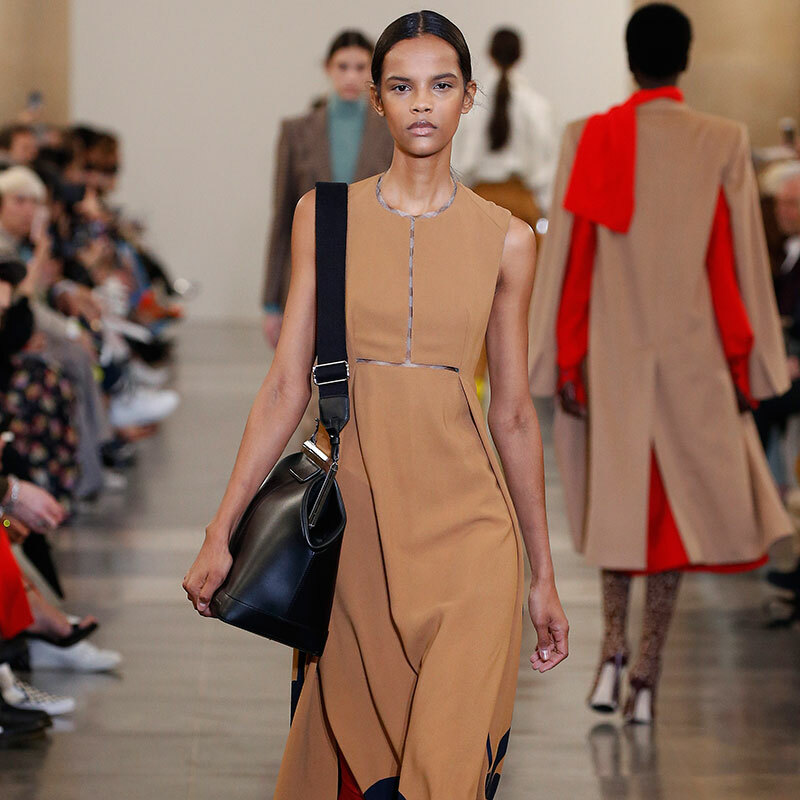 Fresh face Eloïse only had a smattering of couture shows before she made her big splash this season at Victoria Beckham, J.W. Anderson, Dior, Valentino and Sacai. 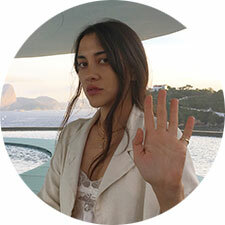 Emily Driver took advantage of her debut season, getting well-acquainted with the rarefied air of luxury houses. At once, the sterling-featured blonde was a semi-exclusive for J.W. 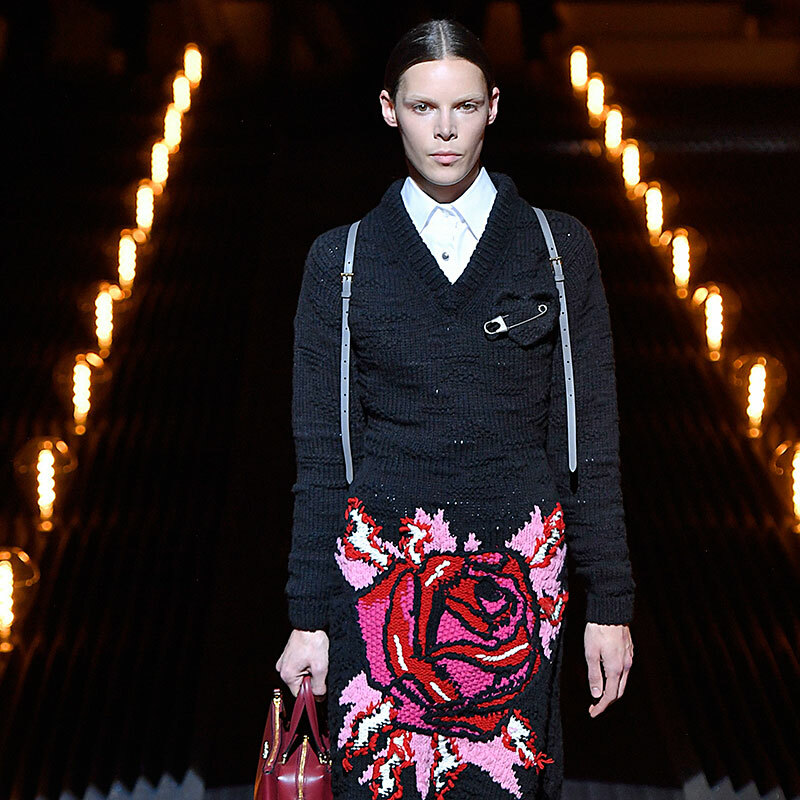 Anderson in London and closed Prada as an exclusive in Milan. Every show she did after those like Valentino and Givenchy were just deal sweeteners. Talk about written in the stars. On George’s first day of primary school, an older student was assigned to show young Georgie the ropes. That older student’s name? Julia Nobis. 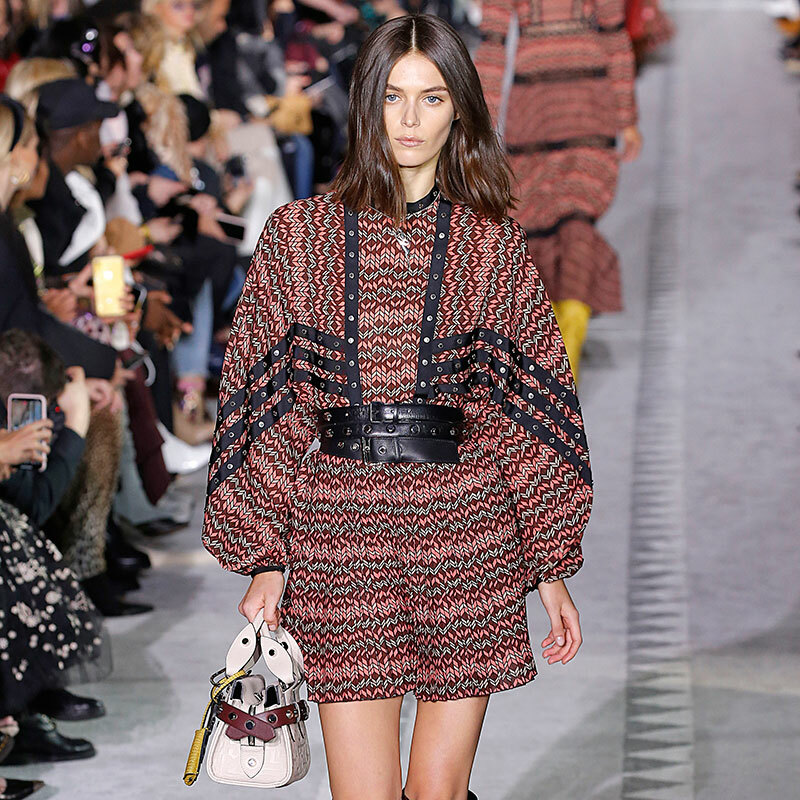 Fast forward to the present day and both girls from the Sydney beachside suburb of Bondi were walking for Longchamp in NY. Julia is obviously a great mentor, but George can hold her own – as spots at Louis Vuitton, Dior, J.W. 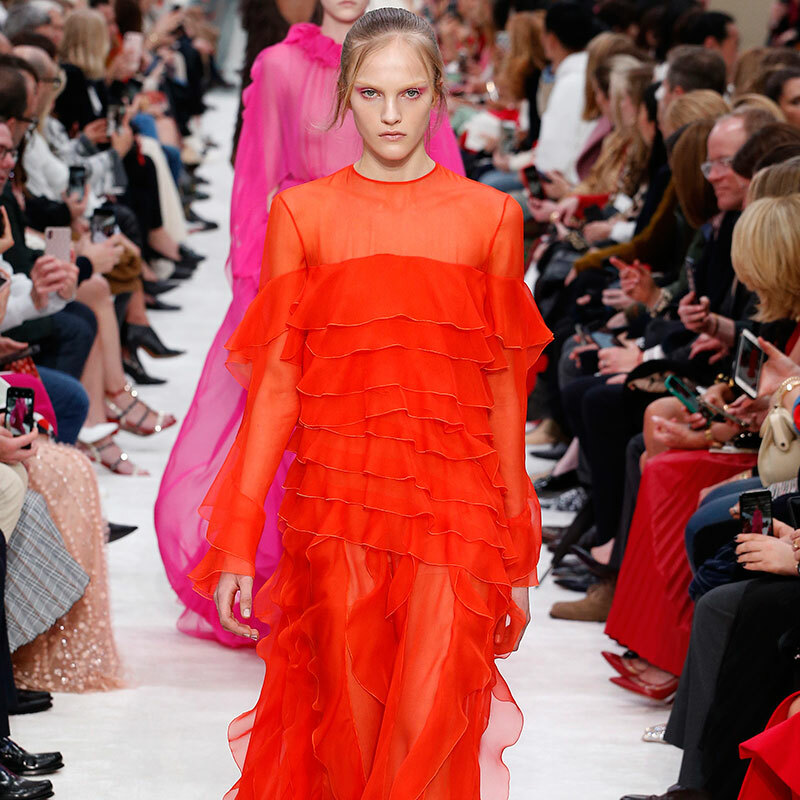 Anderson, and Giambattista Valli can attest. 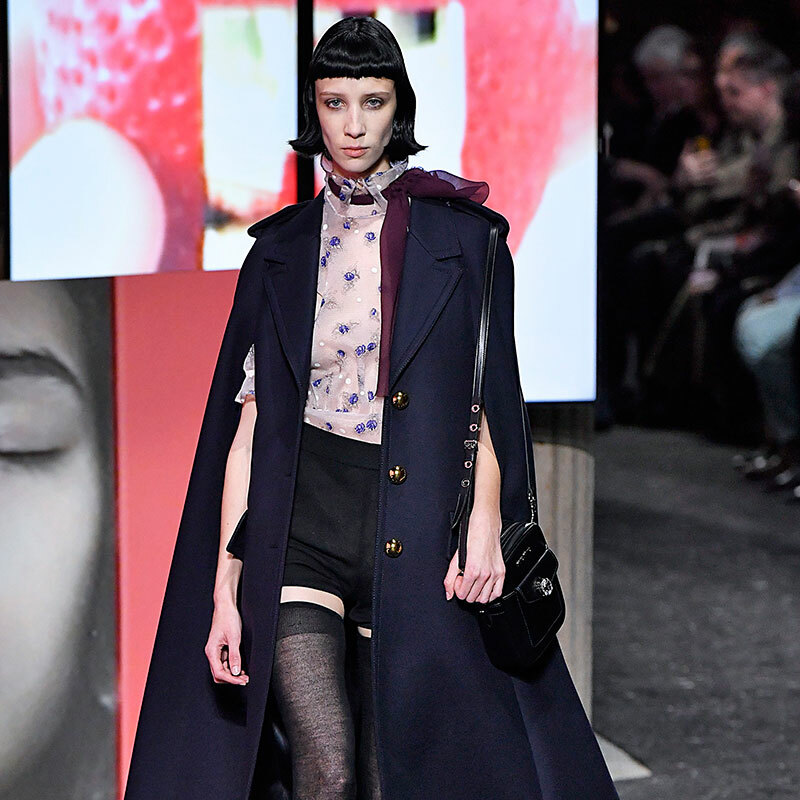 Huizi Xue ventured for the first time to Milan and hit the jackpot walking for Prada and Marni. 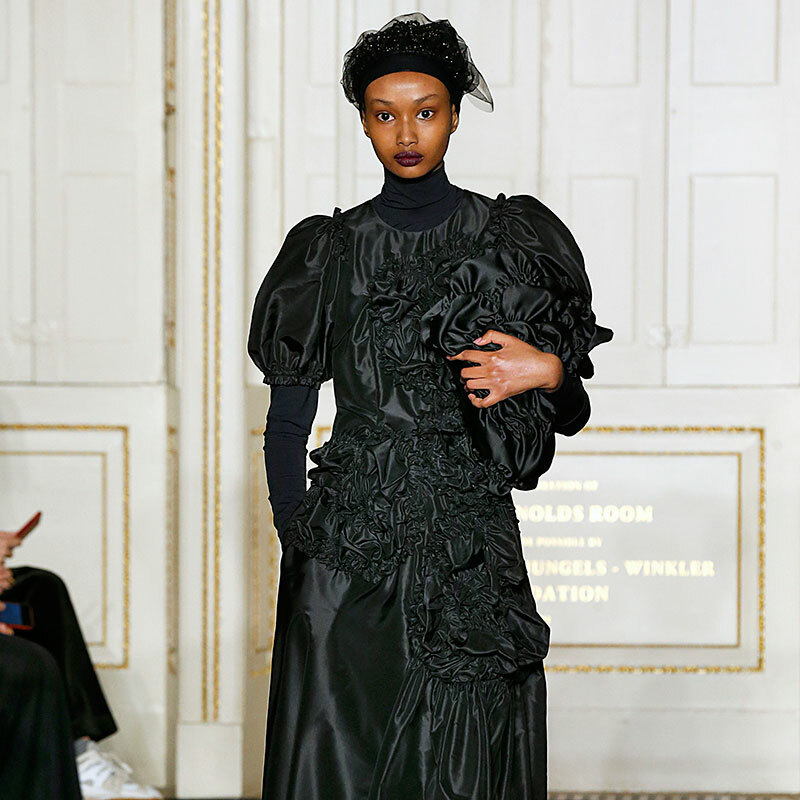 The real payoff came when she journeyed to the City of Lights where shows like Thom Browne, Givenchy Alexander McQueen and Mugler called upon her cool disposition. We don’t know much about where Kat Carter came from, but judging by her long-limbed heavenly looks, it was destiny that she would descend onto the runways of J.W. Anderson, Saint Laurent, Isabel Marant and Chanel soon enough. Kerolyn dominated only half of this international season in Milan and Paris but the level of her clients proved quality still beats quantity. 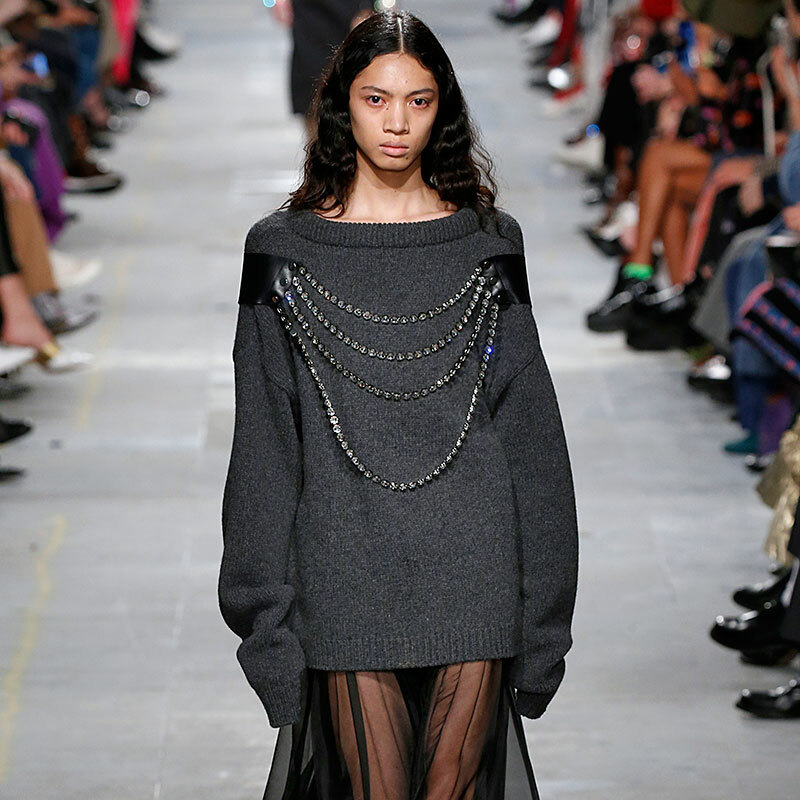 An exclusive debut at Prada set things up for the Brazilian bombshell and the Parisian high rollers took to the stunner too with Saint Laurent, Loewe, Givenchy and Sacai all backing her. Two shows, two exclusives, two powerhouses. 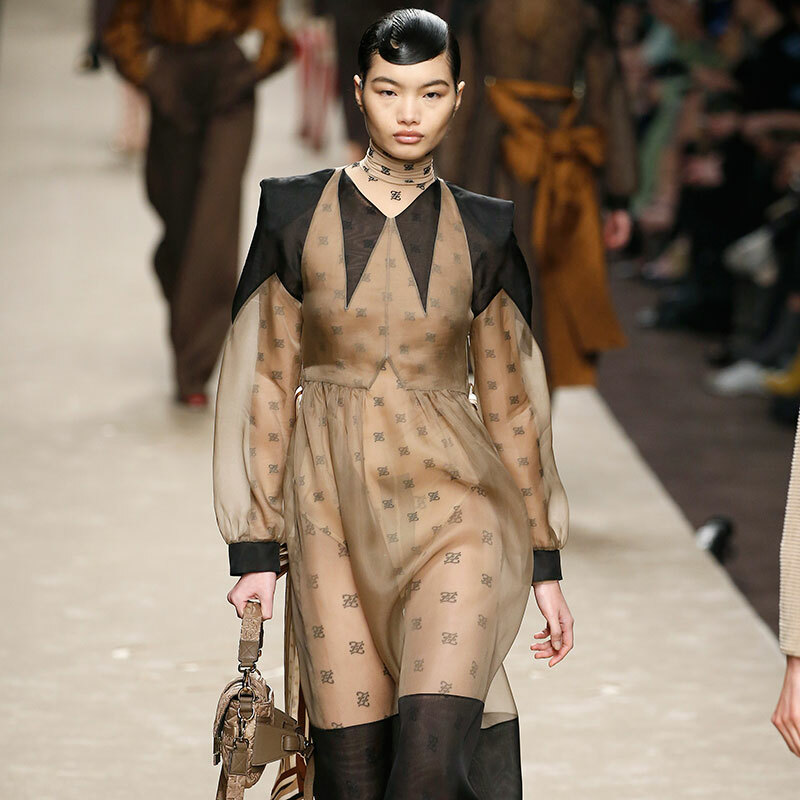 Yep, Louis Vuitton and Prada were so won over by the duality of Lys’ strong-but-soft appeal that the Frenchwoman was off limits to all other designers in Paris and Milan. That’s the kind of season model dreams are made of. The sun-kissed, curly haired beauty of Mariana called to the likes of Miu Miu, Hermes, Lanvin, and Altuzurra this season. A Prada exclusive and Giambattista Valli opening spot were the sprinkles on top of the brigadeiro for this Brazilian babe; the perfect additions to an already super sweet debut. Danish babe Mona Tougaard started off at the prestigious Prada as an exclusive debut before she went on to Paris. Before she even stepped on the Loewe runway a Meisel-helmed campaign for the brand rolled out setting up the rest of her Paris season sweetly. 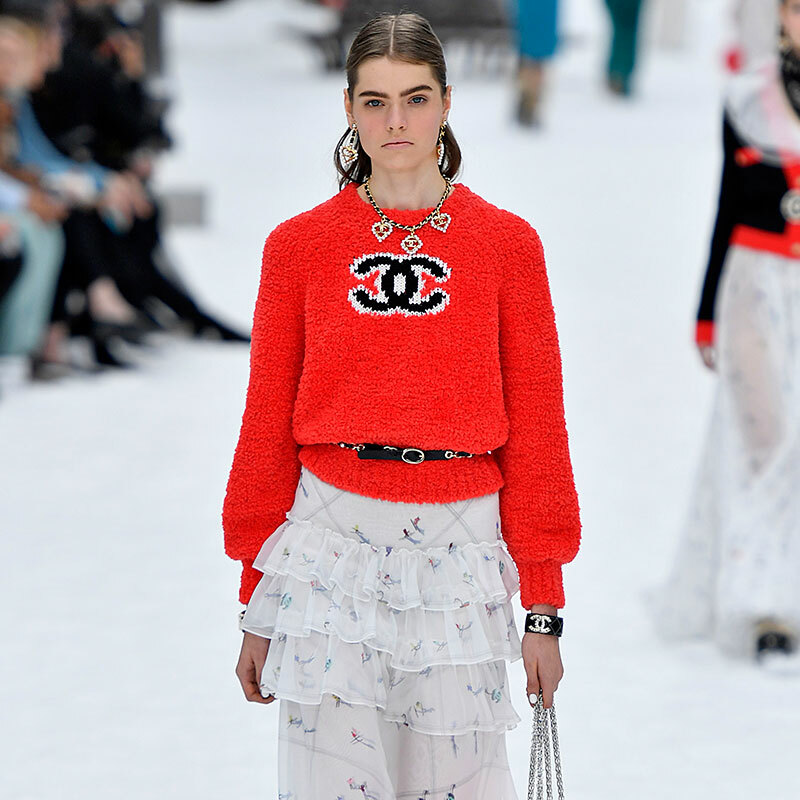 Stella McCartney, Chanel, Miu Miu, and Louis Vuitton were seamlessly added by the end of things. 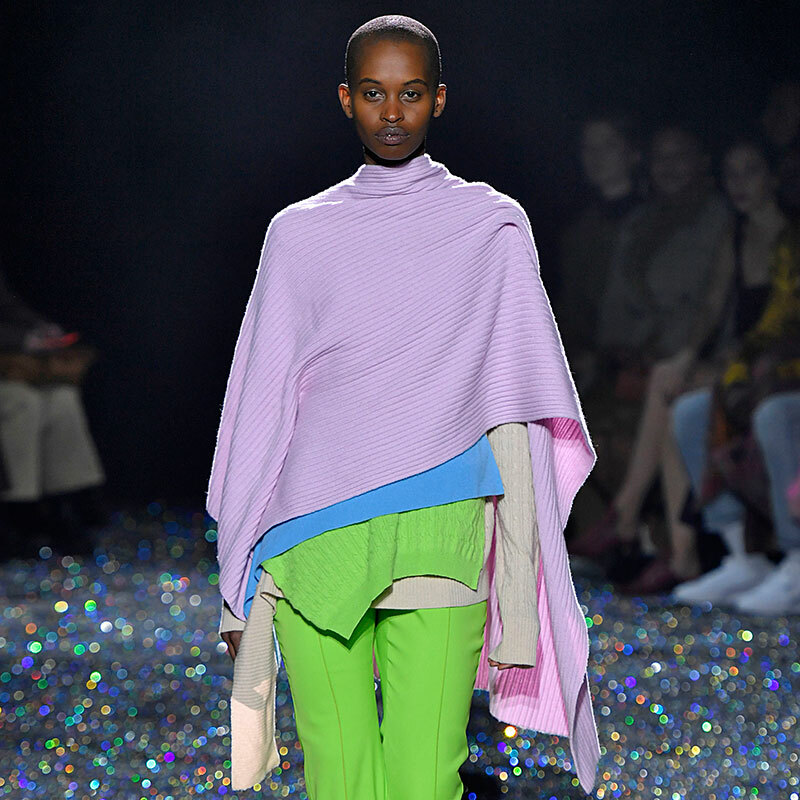 Noah Carlos’ first official runway season was stellar out the gate with all the shows you dream of wearing – Sies Marjan, Helmut Lang, Missoni, Marni, Margiela, and Dries Van Noten. Barneys, take note. And then there was Ugbad. 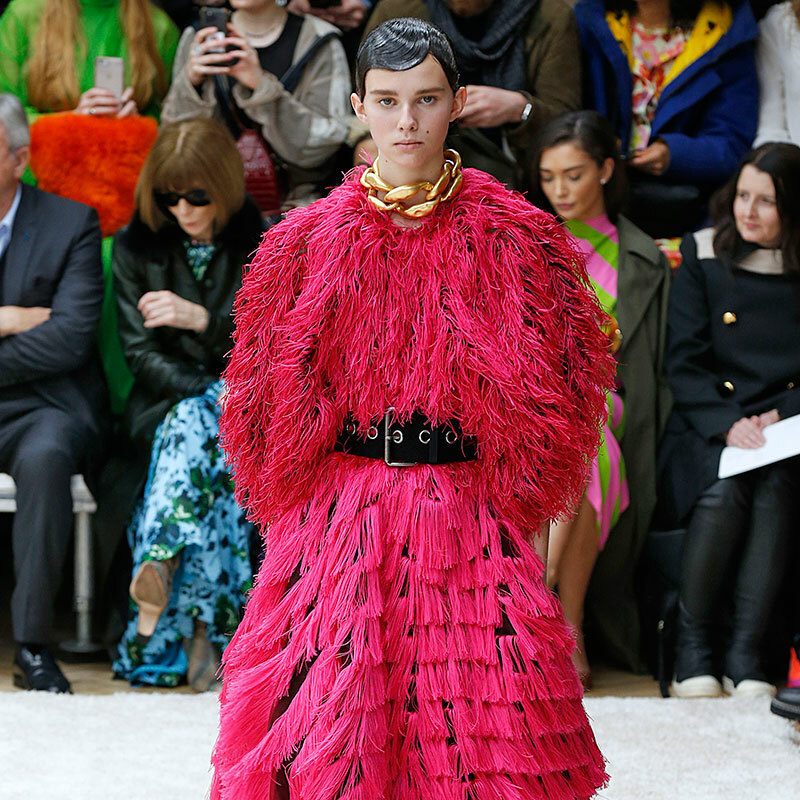 Couture might bring the coin but the big fashion four bring the acclaim and this mononymous newcomer triumphed in every major fashion city; first, Marc Jacobs then onto Burberry, Fendi, Off-White, Miu Miu and Valentino. She has a look that can be both precious and powerful, it just depends which designer you ask when speaking of this new Dominican dream. 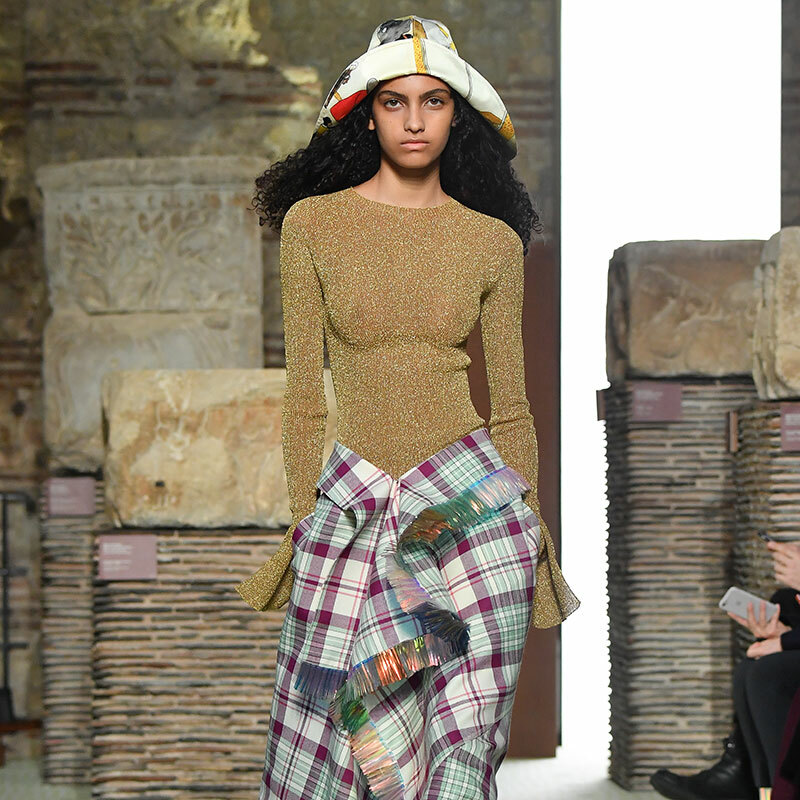 Those at Saint Laurent (semi-exclusive), Nina Ricci (closed), Miu Miu (closed) and Louis Vuittion can all agree Yorgelis brought the best of both worlds to their F/W 19 collections. It wasn’t going to take long before casting directors homed in on Aivita’s angelic appearance to add a little divineness to the day. 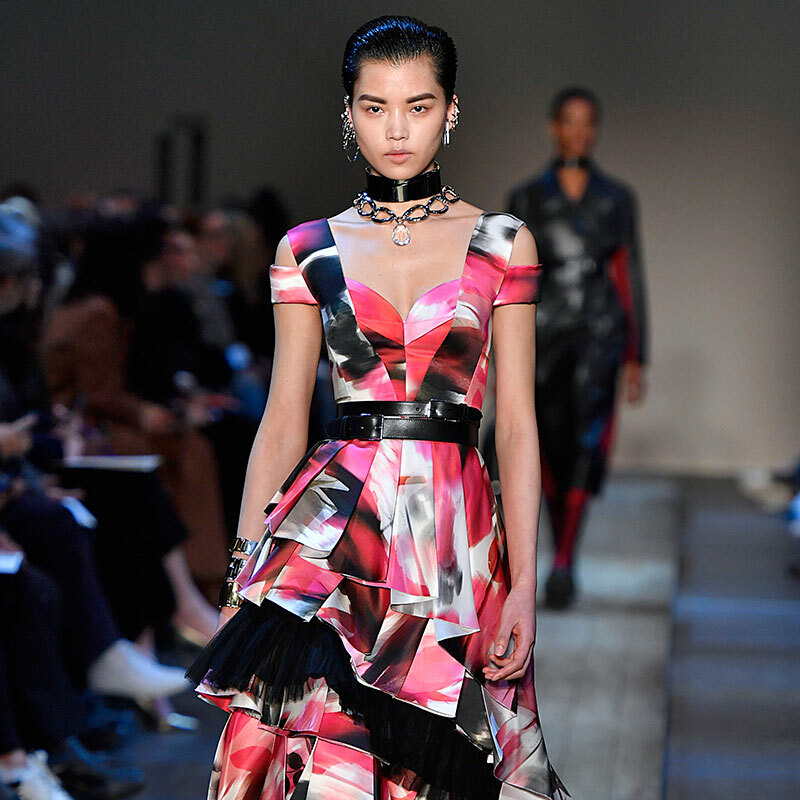 Over the last couple of weeks exquisite struts for Marc Jacobs, Moschino, Lanvin, Chanel manifested her most memorable season yet. This Dutch sprite is instantly recognizable with her bright blue eyes and bowl cut, but at a certain point, we began wondering if she had a double: how she could be in so many places at once? 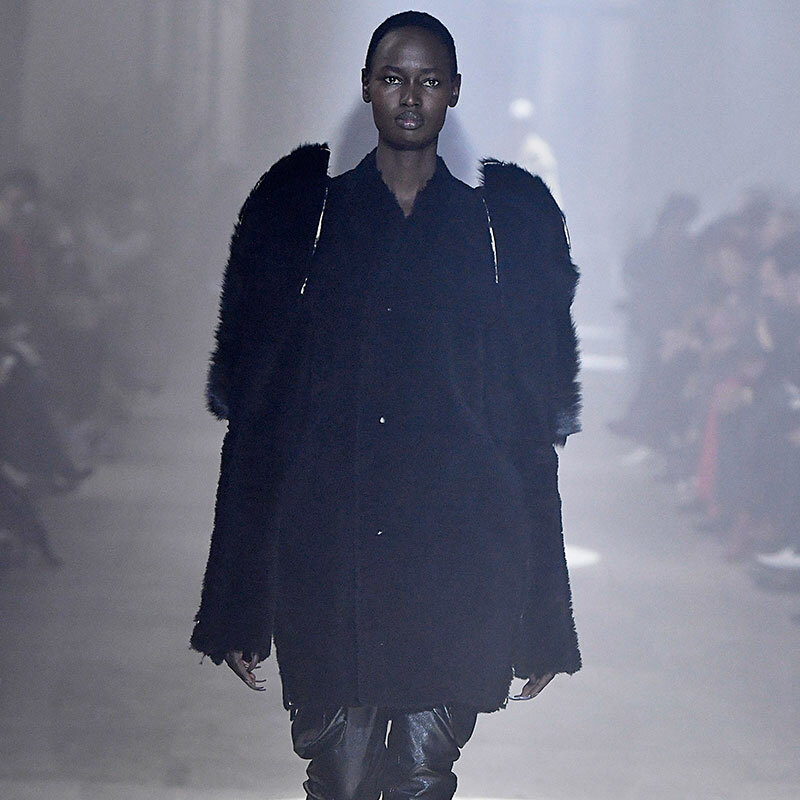 No, Bente’s numerous Fall/Winter walks were just proof that she is conquering her moment: Tom Ford, Coach, Marc Jacobs, Burberry, Fendi, Prada, Versace, Dior, Celine, Givenchy to name more than a few. This season, designers capitalized on American model Carolina, whose wavy mane and freckles amount to anything but cookie-cutter. 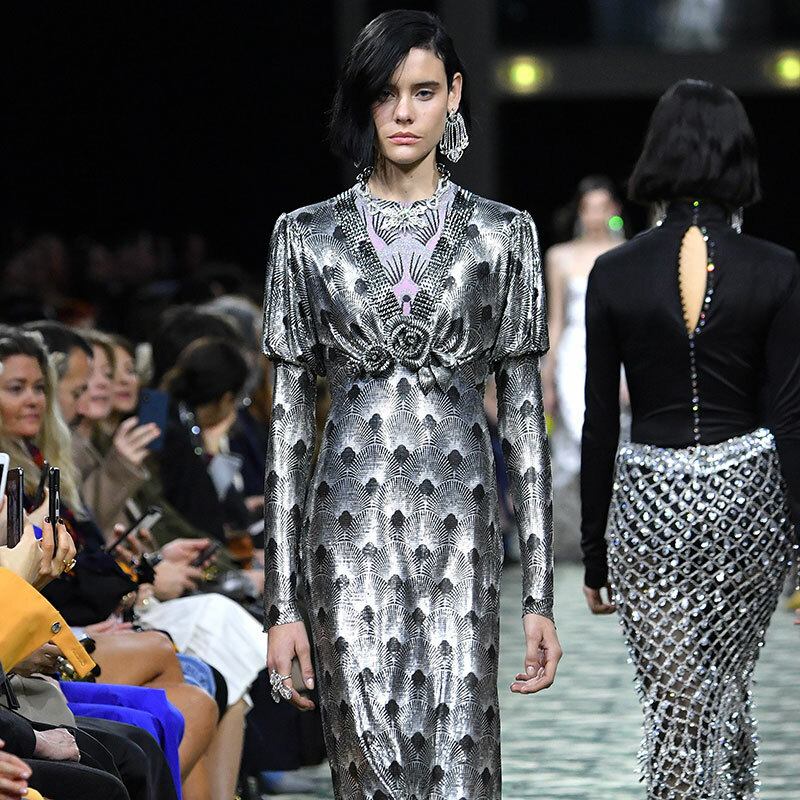 Helmut Lang, Missoni, Dior, Lanvin, Hermes and others tamed her lioness looks for her most deciding runway turn yet. This is a girl who is hard to forget. With her facial piercings and gauged ear, hypnotic dark eyes and the type of name befitting a hipster Transformer, Chai Maximus is fashion’s newest wild child. 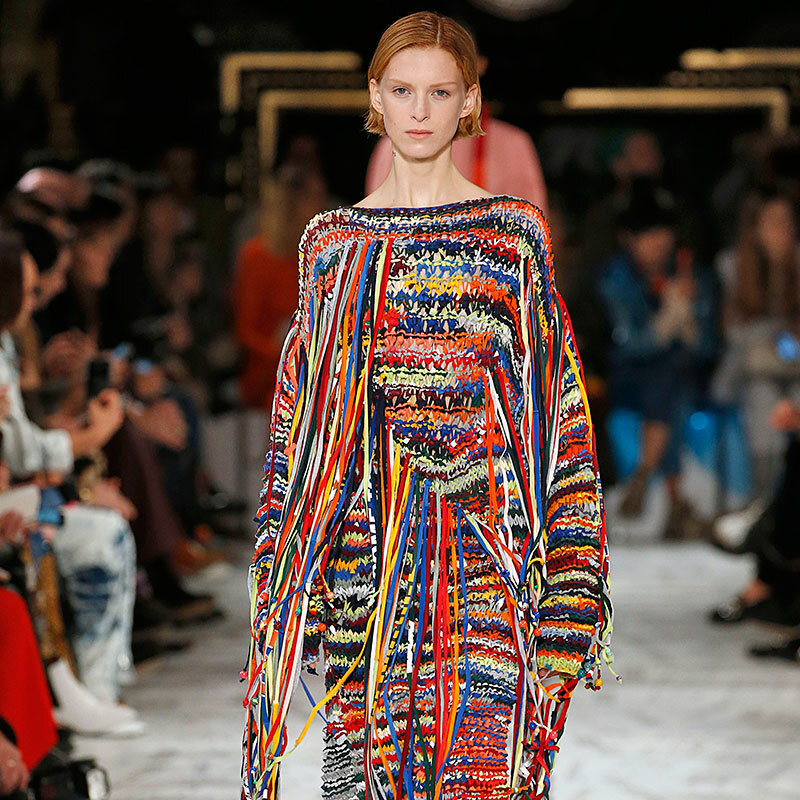 Making her mark at the likes of Alexander McQueen, Loewe, Margiela and Dior, this Belgian’s offbeat boho vibe proved iconically intriguing. 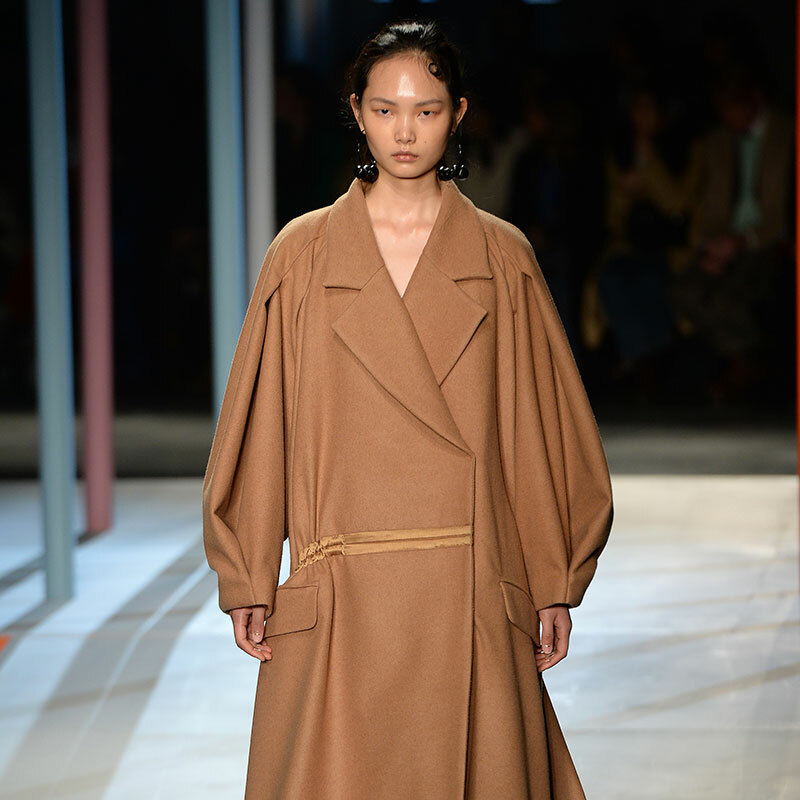 After making her European show debut last September at Jil Sander and J.W. Anderson, Hannah’s sophomore season was brief but auspicious. 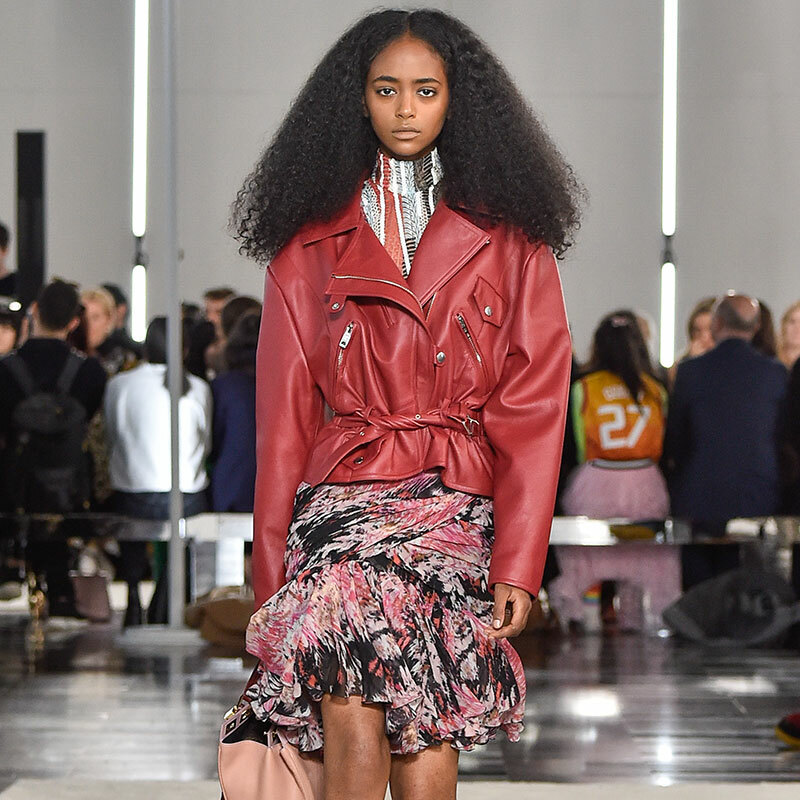 Beginning with Ports 1961 and ending with Miu Miu, Hannah’s hipness and multiculti Aussie/Sri Lankan beauty also drew in Dior, Preen and Altuzarra. Fashion always has room for an icy blonde, and this season Josefine embodied fair-haired frostiness. Searing and serious at Prada, Saint Laurent and Lanvin, Josefine’s Nordic noir also killed it at Stella McCartney, Valentino, and Loewe. Smuk! 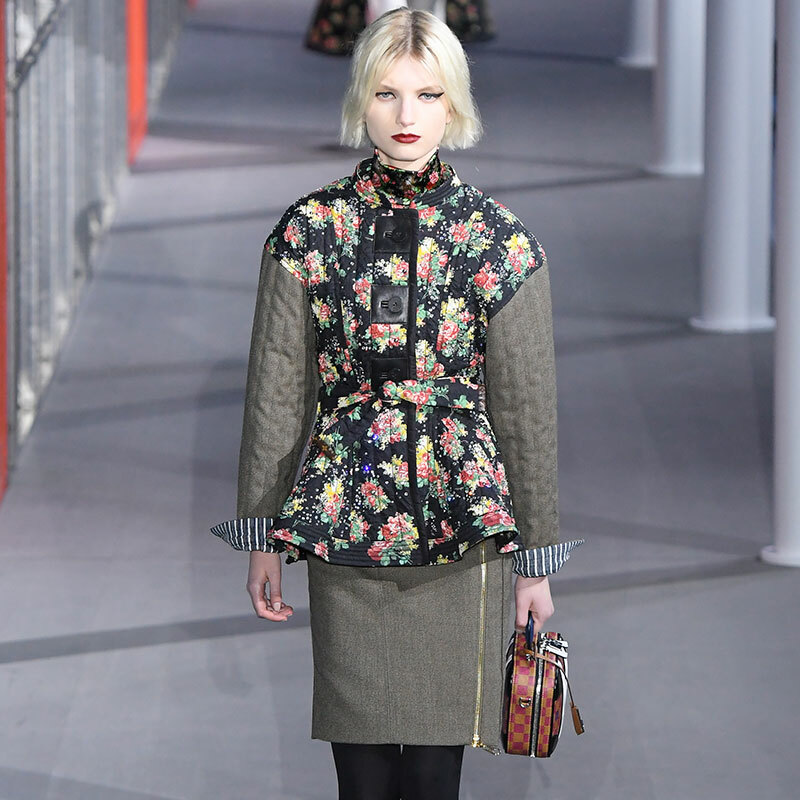 Way back when, Miss Merkelbach made her debut walking exclusively for Louis Vuitton’s F/W 15 show. Since then she’s been able to exercise her model muscles on the catwalks, and F/W 19 was the season that the German cutie pumped the most fashion weight, so to speak: Jeremy Scott, Moschino, Margiela, Loewe, Hermes, Valentino, Stella McCartney and, of course, her most loyal fan––Louis Vuitton. 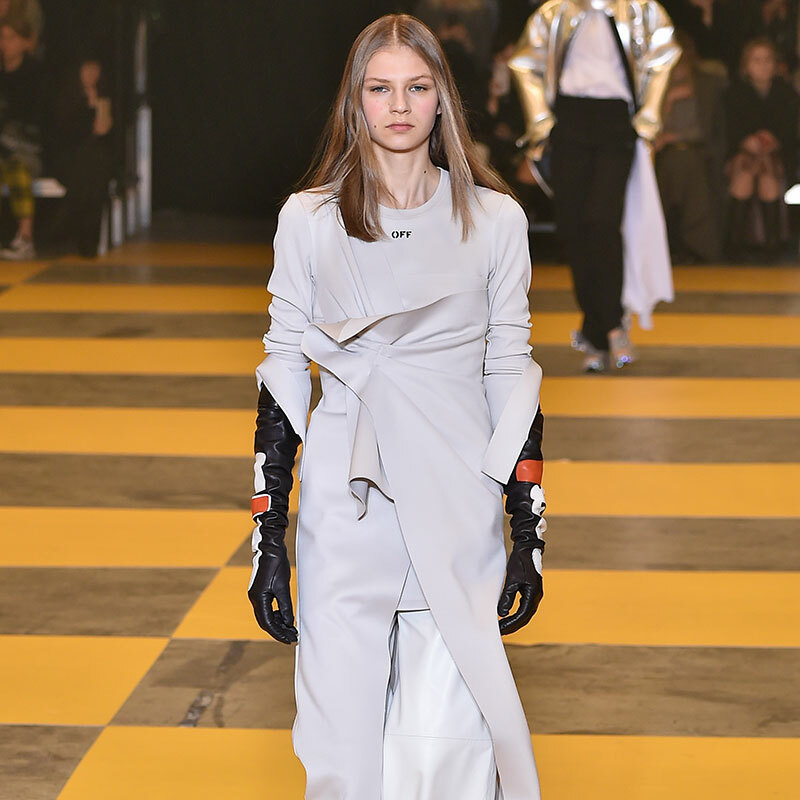 With a Vogue Italia appearance at the top of the year, German recruit Kristin Drab was off to a good start before she landed Kenzo and Rodarte off season shows. Then came the behemoth fashion month with slots at Coach, Preen, Erdem, Gucci, Dior, Valentino and Louis Vuitton to seal the deal. We first met this Brit at Miu Miu’s S/S 19 show, but that single show merely had us agog to see more of this naturally glowing Kukua. 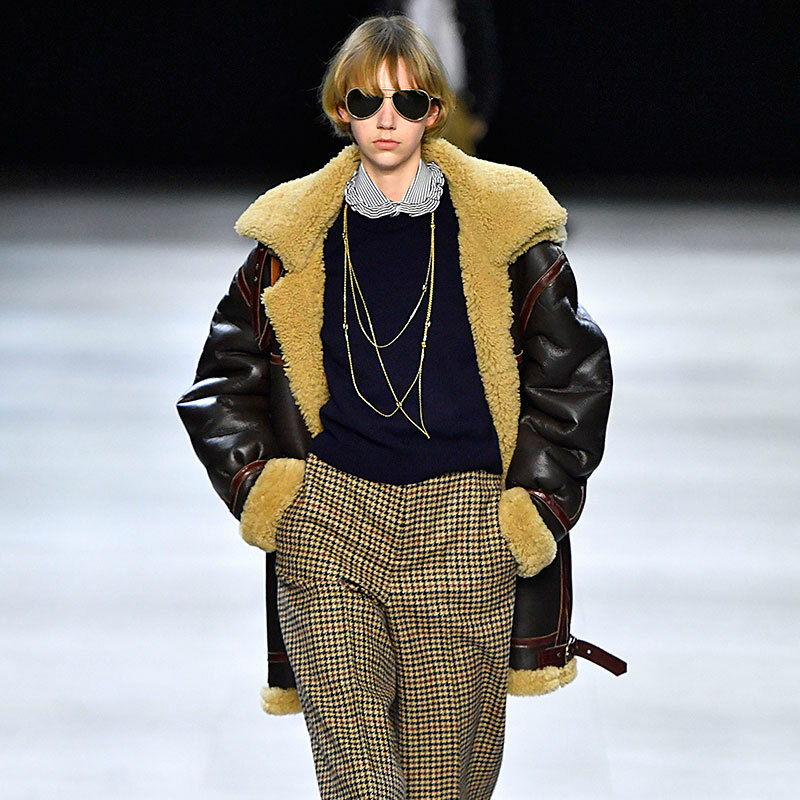 Thankfully, for F/W 19 she was busy putting in the legwork on the runway for brands like Coach, Michael Kors, Chloé, Stella McCartney and Louis Vuitton that amounted to a breakout season. 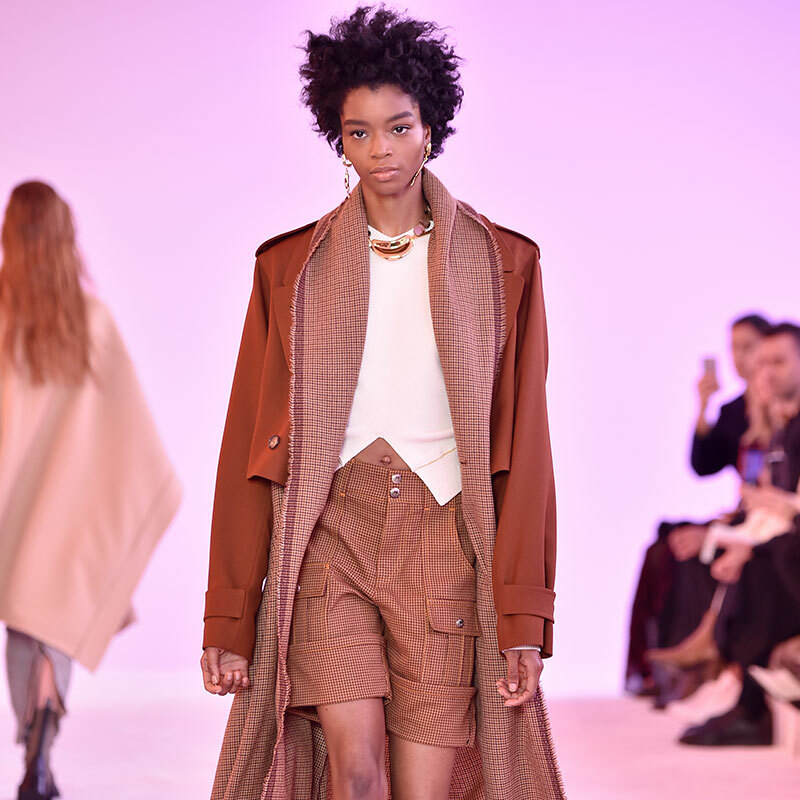 After an exclusive debut at Louis Vuitton last season, Jamaican *stunner* Kyla Ramsey upped the ante with Rodarte, Jil Sander, Paco Rabanne, Chloe, Nina Ricci, Valentino, and yes, Louis Vuitton to close things off. All-American breakout decided blondes have more fun and finally got her stride this season. 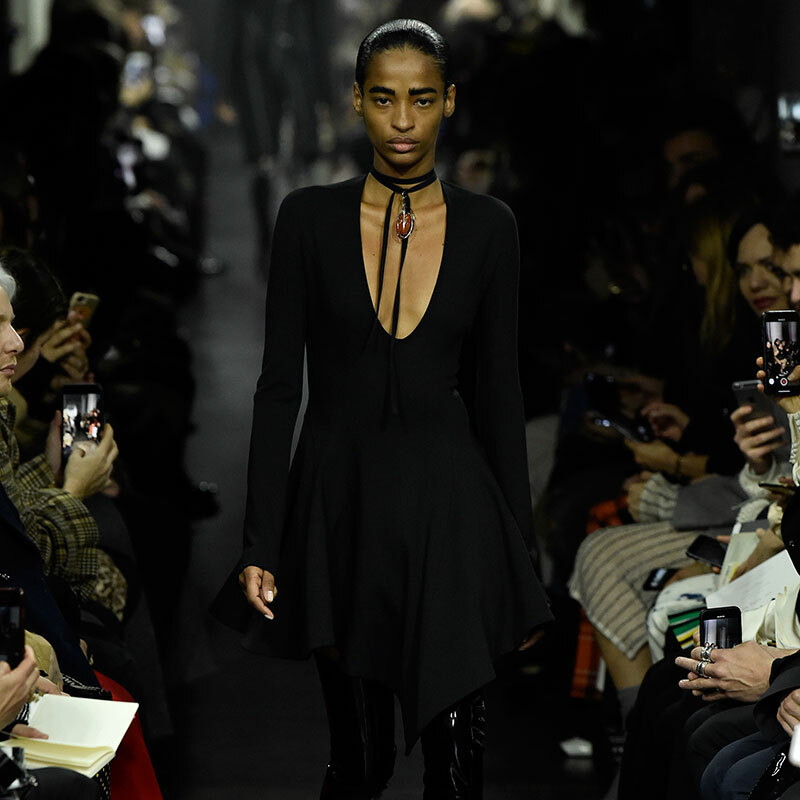 She opened The Row and walked in Cushnie and Boss, then an exclusive spot at Burberry, No. 21 and Cavalli in Milano, and then onward to Paris for Isabel Marant and Hermes. A Prada exclusive and Vuitton campaign in seasons past meant an eventual tsunami of a fashion month was a foregone conclusion for Maud. 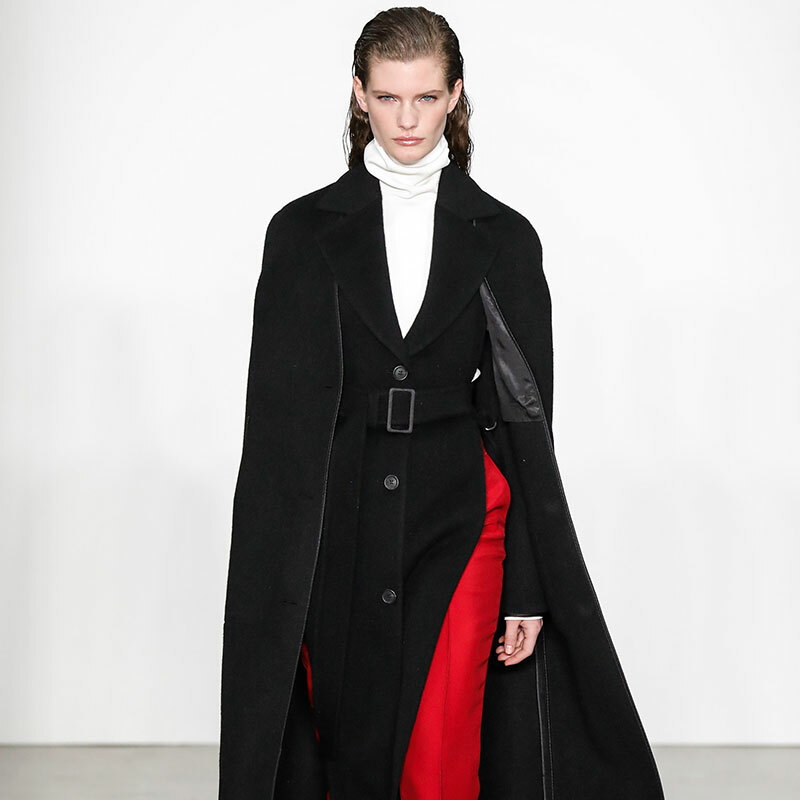 F/W 19 turned out to be the perfect time for the tidal wave of Hoevelaken to hit. 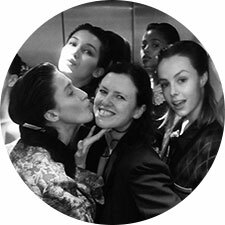 Walking at over 20 shows (with the opening spot at three) well and truly signals the arrival of Miss Maud. 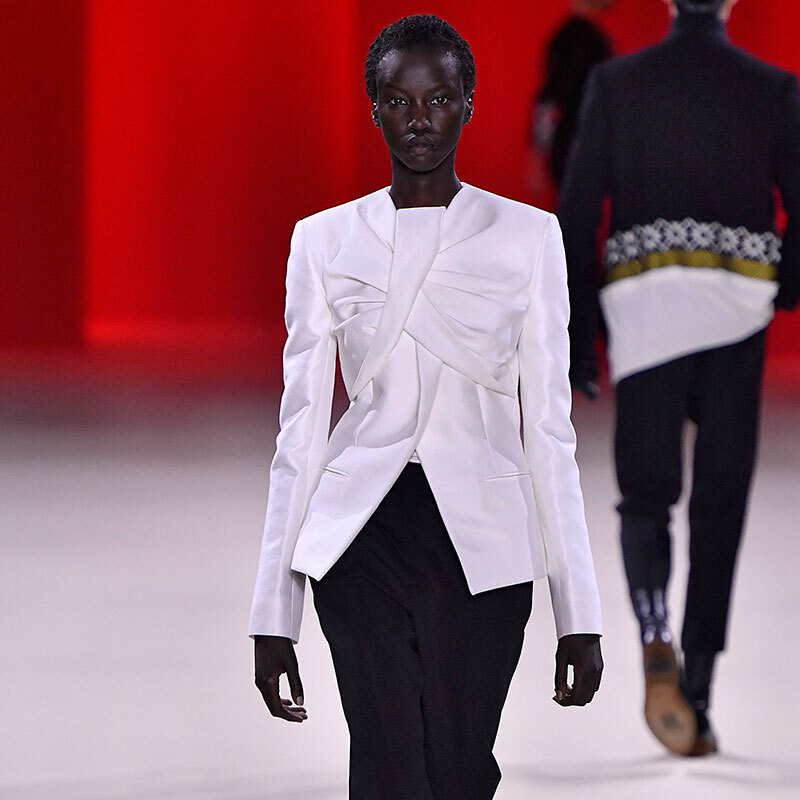 Nyarach, the impossibly elegant looking South Sudanese gal, took this opportunity to show the world what she’s got by walking a streak of choice bookings like Burberry, Hermes, Balenciaga and Valentino this season. A career high, no big deal. 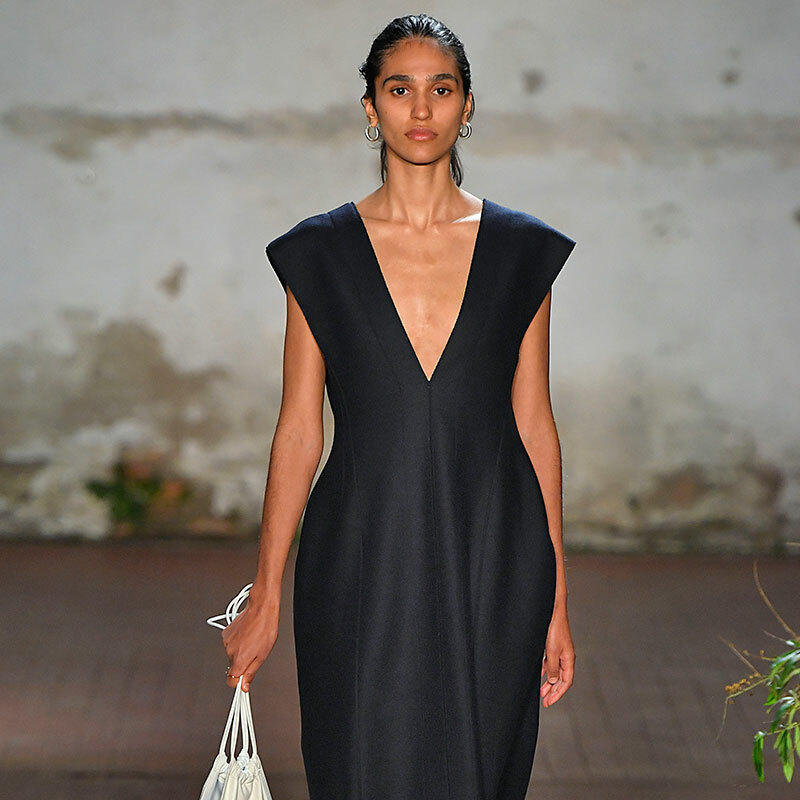 A long-limbed cool kid from the Eastern Bloc, Sasha is classic catwalk material. Originally debuting in 2018, this season it all came together. 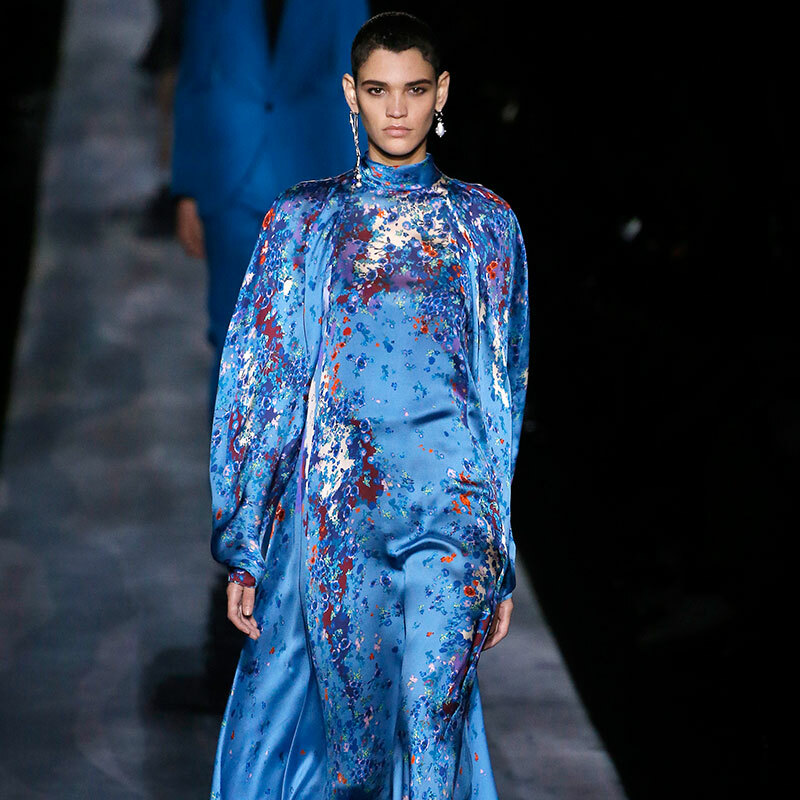 She showed strongly in NY, walking for Marc Jacobs, Sies Marjan and Rodarte. 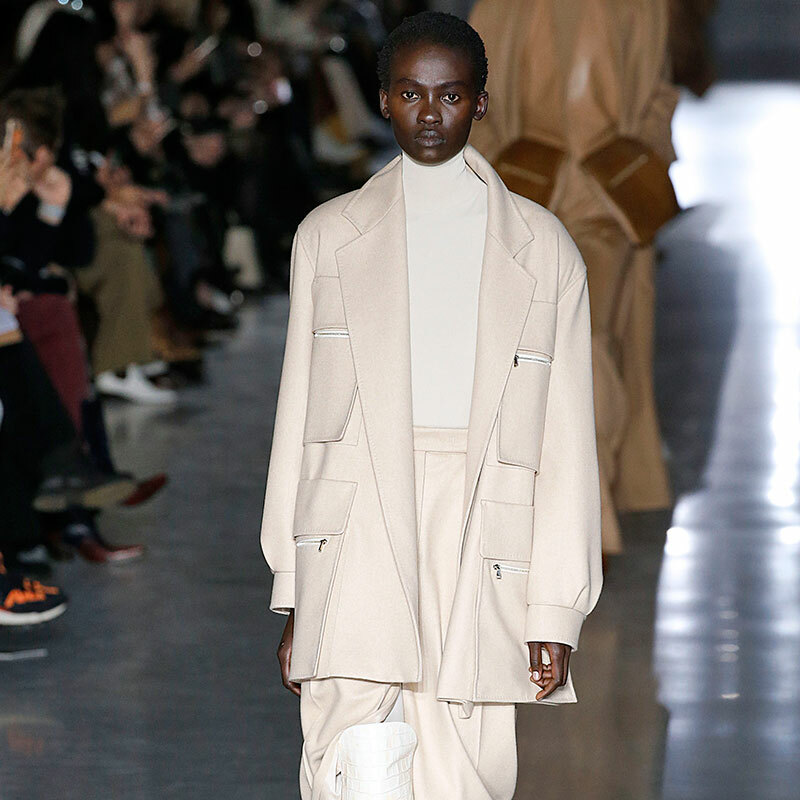 London was smooth too, with turns at Matty Bovan, Erdem and Christopher Kane. But Paris was where the magic truly happened; Sasha walked the Miu Miu runway for the third season in a row, this time on exclusive and in opening spot, effectively heralding her arrival as the brand’s newest sweetheart. Stay tuned. 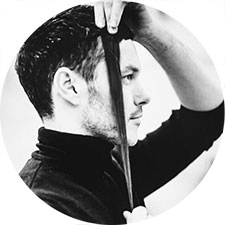 Steinberg’s pale fire had already sparked interest in previous seasons at Jil Sander and Givenchy Couture. This season, however, was a hot one for the ethereal Russian. 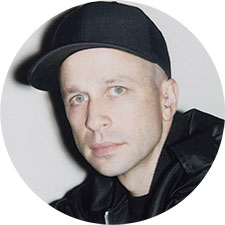 Steinberg swept through London, Milan, and Paris like wildfire, walking for Preen, Versace, Christopher Kane, Vuitton, and Chloé, to name but a few. 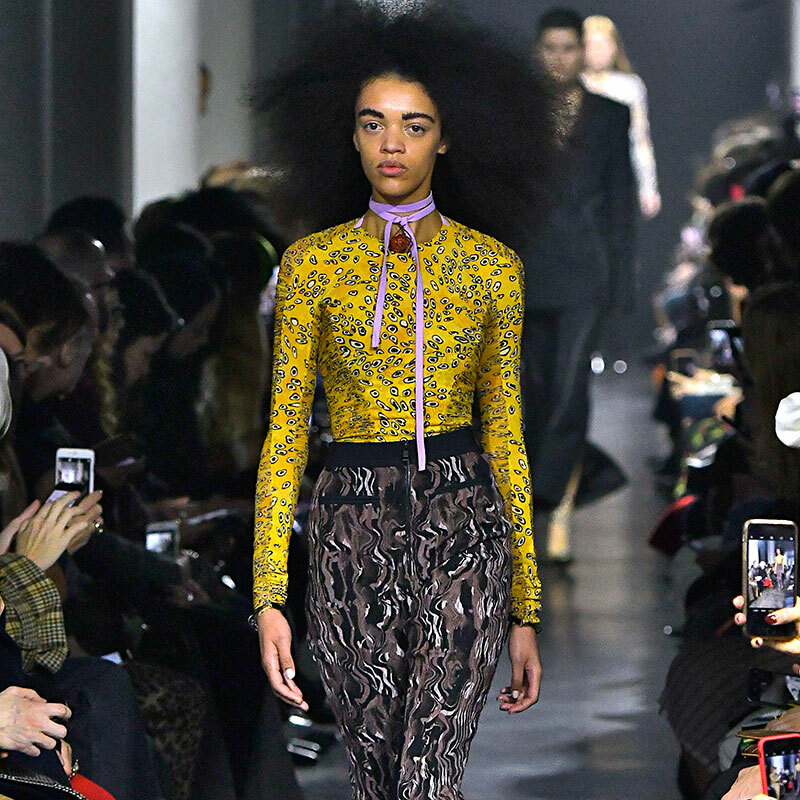 As opening look at both Dries van Noten and Givenchy, Steinberg’s slow burn is now poised to bring the heat to those all-important editorial and campaign bookings. 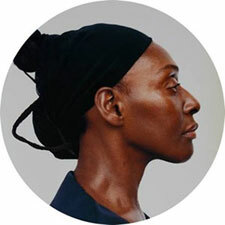 I know Bethann always picks POC but Mayowa? Are you serious? Has she been living under a rock this whole time? If you want to favor POC then go ahead but at least pick someone that is really a newcomer. 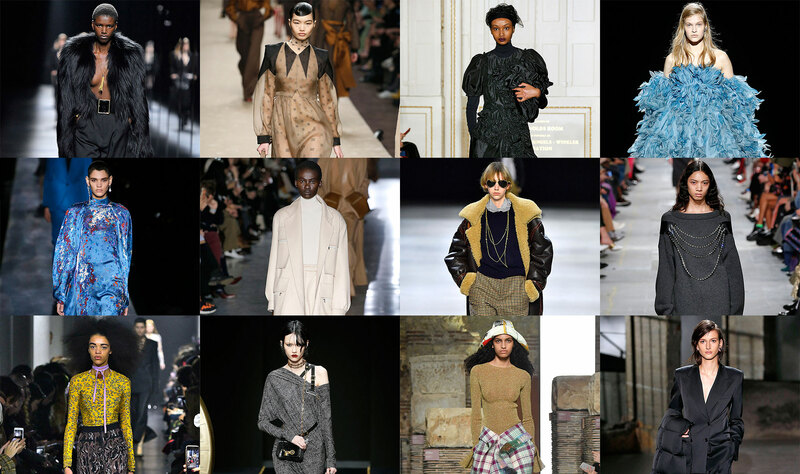 My favorite new faces of this season: Carolina Burgin, Eloïse Cloes, Agostina Noe, Nyarach Abouch Ayuel, Polina Zavialova. I hope this helps clear some things up – Thanks as always for your participation Lily!